Hello, my lovelies! I need to finish reorganizing my house, but I didn’t want to leave y’all hanging for another day with no post! 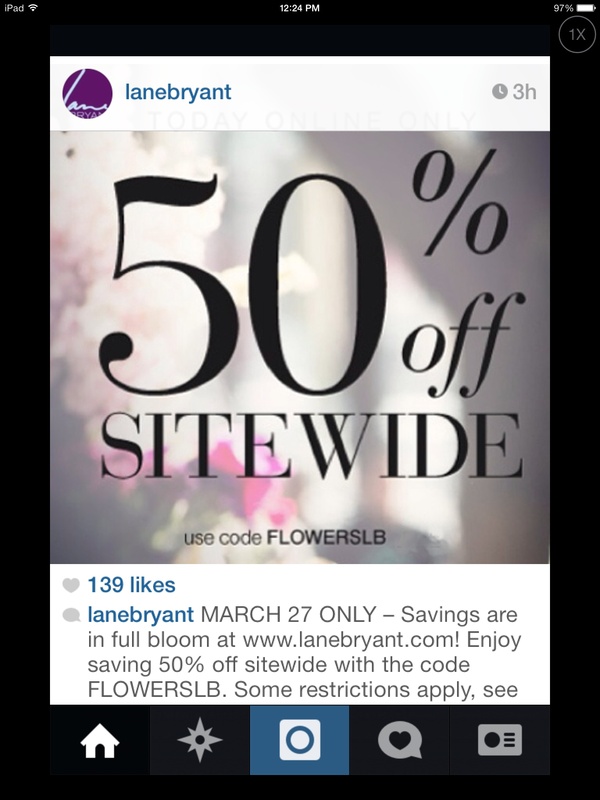 So, I rounded up some great deals I found on my Instagram feed to share with you. 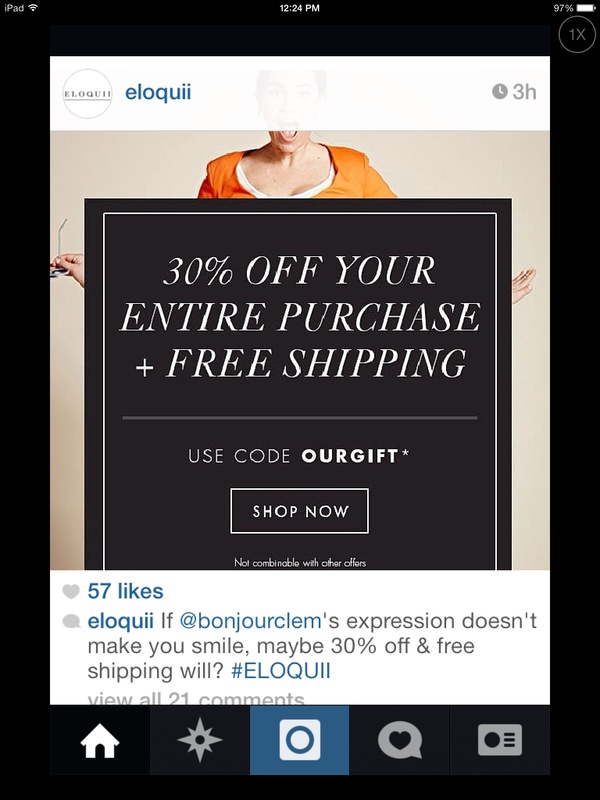 Eloquii has 30% off your entire purchase plus free shipping with the code OURGIFT. I am loving the relaunch, and am hoping to snag one of their gorgeous dresses for my birthday dinner next month. Curious? It’s this one. So pretty! 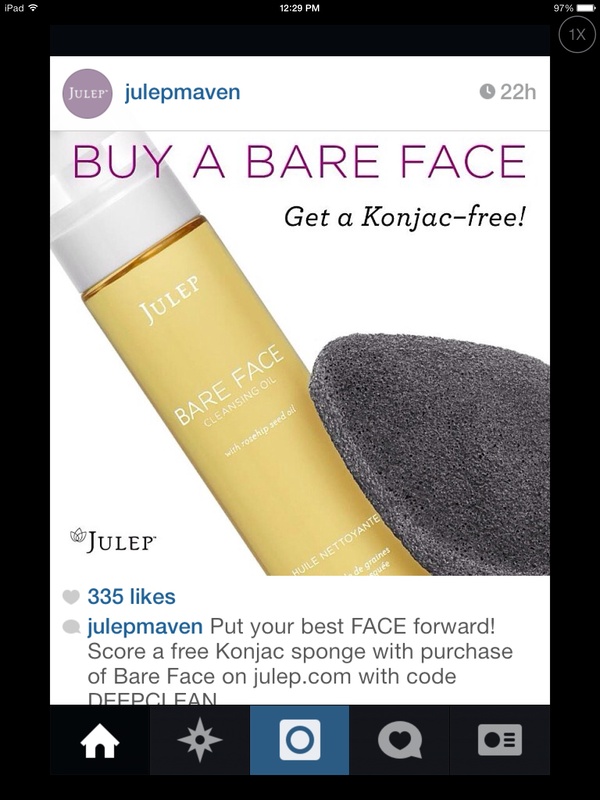 Because one should also deep clean their face as well as their houses, Julep is offering a free cleansing sponge with the purchase of their Bare Face cleansing oil. Use code DEEPCLEAN at checkout. Also, you can score 50% off of team duos and full priced nail colors using code MADNESS at checkout. Both deals expire March 31st. 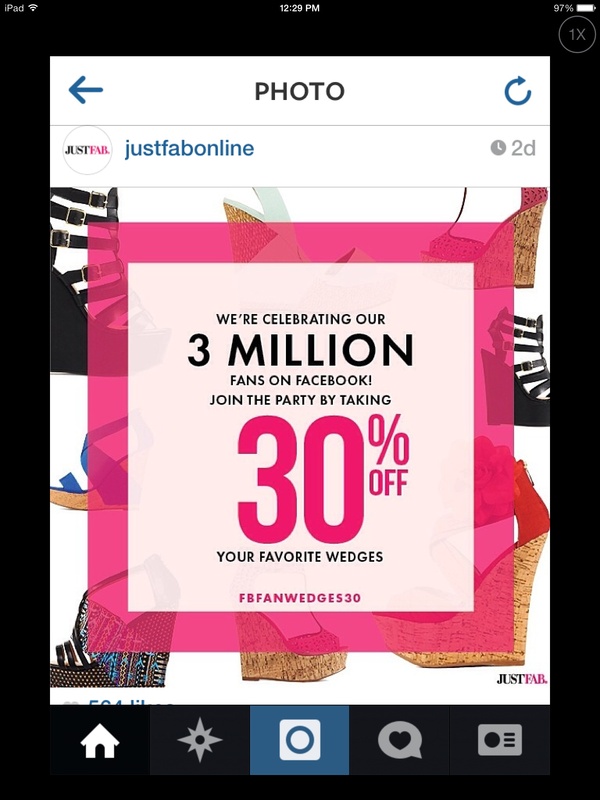 Since I wanted to get y’all covered top to bottom, JustFab has a code for you to save 30% off of wedges. Use code FBFANWEDGES30 at checkout. Bonus: if you earned FabCash earlier this month, you can use both of these promos together! I snagged 3 pairs of shoes for $52 using this combo. I am all about balling on a budget whenever possible! Now, I’m off to finish the day’s housecleaning. Happy shopping!